Chocolate is my frienemy. I’ll happily indulge in a bit of quality cacao from time to time. However, whilst healthier options are definitely growing in availability, it’s still not easy to find chocolates or chocolate products that don’t contain a bunch of weird ingredients. The beauty of making home made desserts (aside from growing in popularity with your friends), is that you know exactly what you’re putting in them. 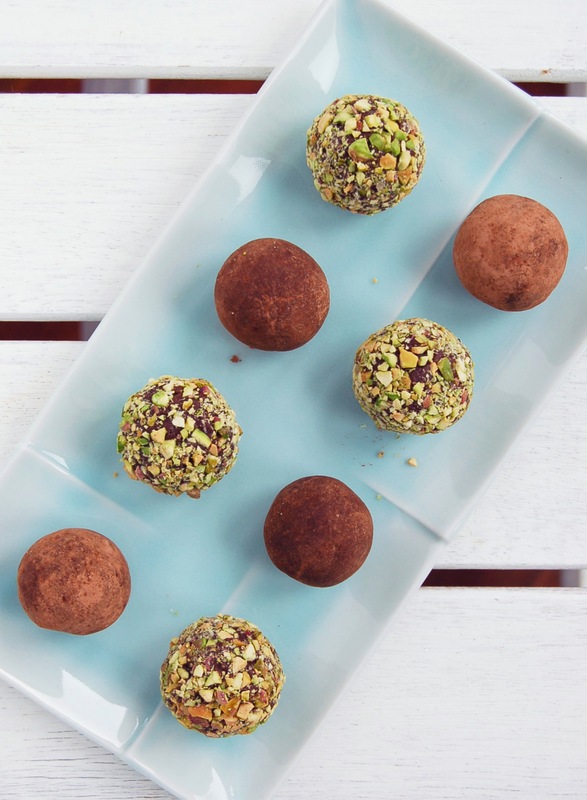 Here’s my super simple recipe for these healthy chocolate truffles. They’re made with only 5 ingredients, don’t contain any dairy or refined sugars, and are deceivingly YUM for a healthy treat! 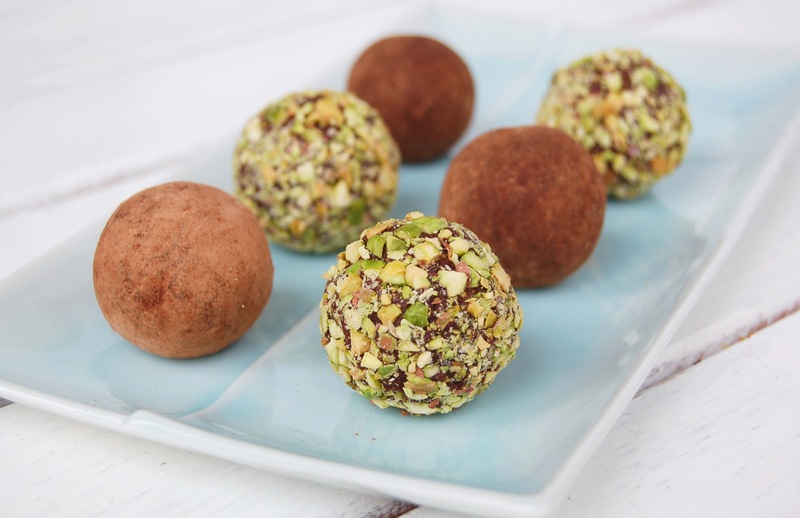 All the sweetness in these truffles come from the natural sugars in the dates. Maybe don’t get 20 in one sitting, but these are so much better for you than most store bought desserts! They keep well in the fridge, and save you from making bad decisions during late night snack rummages! Pitt the dates and pulse in a food processor until the mixture becomes a paste. Gradually add the almond meal, coconut oil and cacao powder. When everything is combined into a smooth dough, roll into tablespoon size balls. Dust with cacao powder, or roll in crushed pistachios. Store in an airtight container in the fridge. I Love Choco Truffles, Mari Jasmine. You did the Healthy Version of that Chocolate. I would Love that More and I will put it in my HealthList. They’re hard to find in the Philippines! I bring them back with me when I can. Glad you like the recipe and thank you!